Deborah has earned an international reputation for expertise in the adoption and use of open source software and open development models in the public sector. Her background includes over twenty years of management experience in information technology in the private and public sectors. Her hybrid background provides a unique and valuable context for understanding public and private enterprise as well as open source communities. In her previous role as Public Sector Communities Manager at Oregon State University’s Open Source Lab “(OSU OSL)”: she founded and produced the annual Government Open Source Conference (GOSCON) from 2005 to 2011. Also in that role she consulted with U.S. local, state and federal agencies as well as international governments to assist them in their understanding of open source, community, and its implications for policy and planning, public procurement and sourcing, economic development and work force training strategies. In 2010 Deborah received an O’Reilly Open Source Convention (OSCON) Open Source Award in recognition of her contribution to open source communities and advocating its use in government. Deborah’s government expertise began as consultant to the Oregon State Legislature during the Year 2000 legislative session and continued at Oregon’s Department of Administrative Services for five years where she served as Manager of Enterprise Strategic Planning and Policy in the Office of the State CIO and also as Deputy State CIO. During the Year 2002 legislative session she represented the State’s Executive Branch position on proposed Open Source legislation and earned a reputation for an open, constructive approach to working with diverse and often conflicting views. Deborah serves on numerous boards with public trust agendas and an emphasis on open source as enabling technology – Board Director for DemocracyLab.org; Board Adviser for the Open Source Digital Voting Foundation; National Steering Committee for Open Source for America; Board Adviser to Code for America; Board Adviser to Civic Commons“; Advisory Council Member, Intrahealth International. In April of 2012 she was elected to term as Director on the Open Source Initiative (OSI) board. 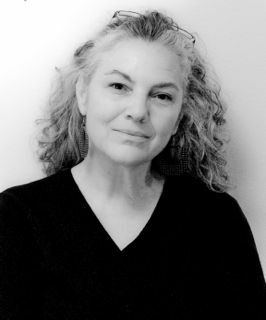 Prior to entering the public sector, Deborah held management positions in several emerging technology areas; parallel and high-speed computing and commercialized internet and web applications in the 80s, commercial wide area networks, advanced telecommunications and data/voice convergence in the 90s.